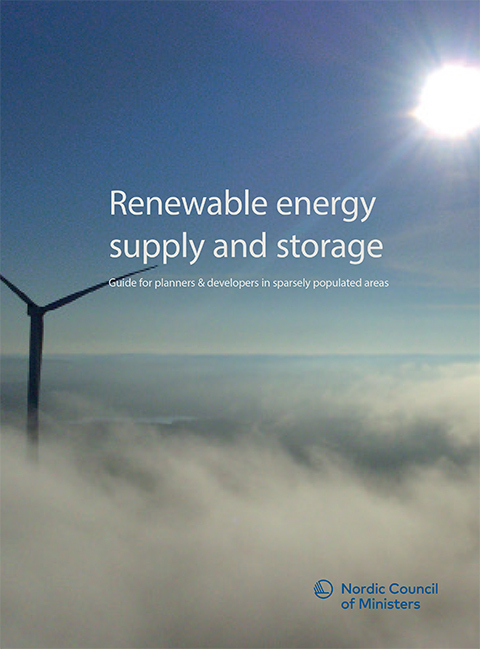 How to shift to renewable energy systems in sparsely populated areas? This guide provides tools for initiative takers and planners, to explore the potential in local resources and provide sustainable electricity and heating for the community. Step-by-step you are guided through the project development process, you get an overview of advantages and challenges of optional technologies and energy systems, including heating and electricity from wind, sun, sea and fresh water, biomass and the ground. The focus of this guide is on implementation of renewable energy solutions in small communities in areas, and to design reliable and affordable energy systems based upon proven technologies that are available in the market. Energy storage and smart energy management get special attention. Facts and numbers from a pilot project in Leirvik at the Faroe Islands illustrates how to use this guide.